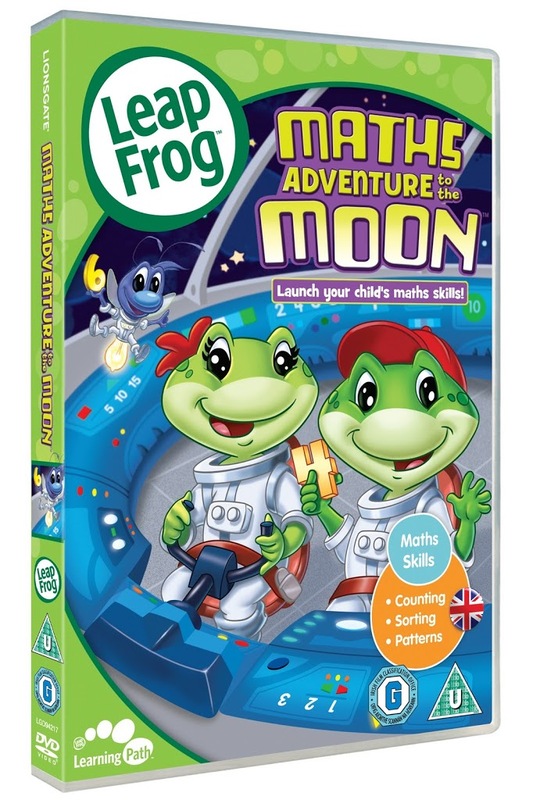 Description:- A fun new, educational release from the popular and trusted Leap Frog brand, MATHS ADVENTURE TO THE MOON really launches children’s number skills! Never before seen on UK TV and out to buy on DVD from the 9th May (RRP £9.99). 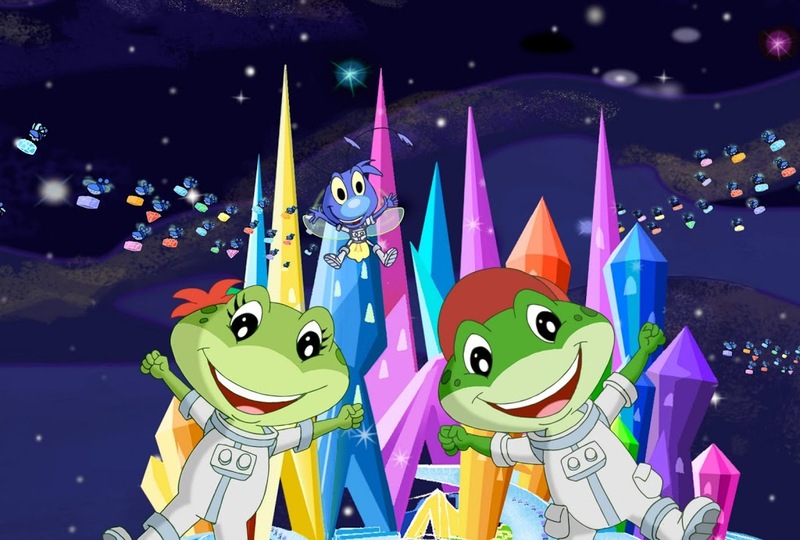 Join school-going frogs Tad and Lily, and some new friends, on their latest adventure as they blast off into space on an educational expedition. On a mission to collect everything they need for their maths project they find that counting, sorting and using patterns and numbers is a skill they need to use everywhere – even in outer space! Leap Frog makes learning fun with this brilliant curriculum based DVD, created with input and endorsement from the Educational Advisory Board, and ideal for pre-school children and their parents. The loveable characters have anglicised voices for the UK market and the learning is fun, informative and accessible making MATHS ADVENTURE TO THE MOON an easy way to help little ones get to grips with early maths. Review:- My 4 year old loves Leap Frog products, we have several of them. He also loves the DVD’s. He watches Let’s Go To School a lot since he will be going to school himself in August, so when I was offered a chance to review Leap Frog Maths Adventure to the Moon, I thought it would be a great idea. The Leap Frog DVD’s are perfect for the pre-school, early school years. They are great fun to watch and are educational without being over taxing for them. This one is all about numbers as the title explains, my 4 year old was repeating the numbers aloud whilst watching Tad and his friend Lilly blast off in their adventures in space. 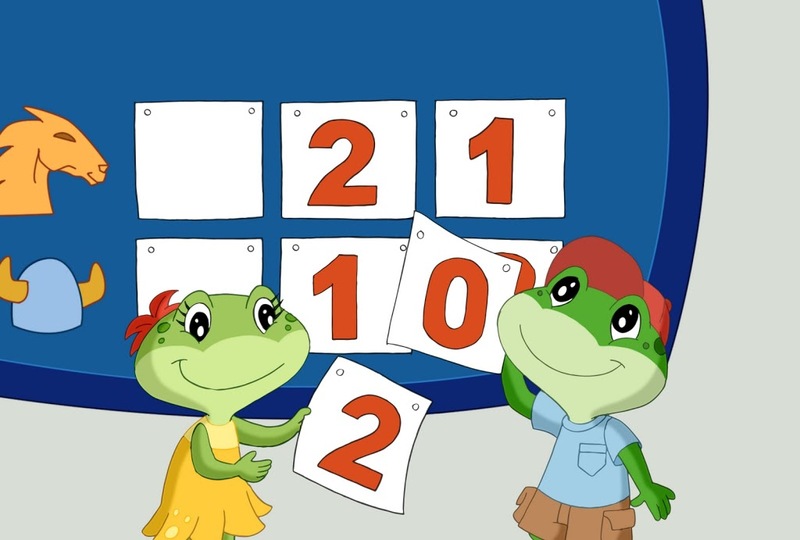 The learning of numbers are accompanied by some very catchy songs. Both my boys were reciting the songs and numbers while they watched. Although my 4 year old knows most of his numbers, he doesn’t know much about adding up so the DVD is giving him something to learn. This keeps him interested and wanting to watch over and over again. I would highly recommend this DVD to anyone who has pre-school or early school age children, it is fun and educational rolled into one. I have been lucky enough to be given 3 copies of this fun and educational DVD away on my blog. 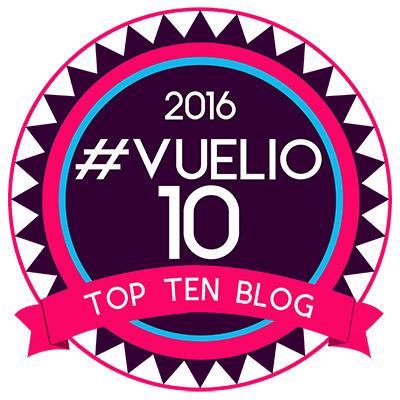 To enter follow my blog and leave me a comment here to say you have done so. Closing date Friday 10th May, so you don’t have long. Disclaimer:- I was sent this DVD through in exchange for an honest review.